Designing a kitchen can be stressful. Being at the heart of many homes, it is important to get the design right. Rubix Kitchens can help you at each step of the way to make sure your new kitchen meets your needs, your tastes and your budget. Need some inspiration? Visit the Rubix Kitchens showroom and have a look at our kitchen displays and samples to help get your ideas flowing. Our helpful staff will be able to answer any questions you may have. If you’re ready to take things to the next step, book an obligation-free consultation with our qualified designer to discuss your project. You’ll need to bring with you the dimensions of the current space (including a rough floor plan), and a few pictures of the space so we can get an idea of what it’s like. Rubix Kitchens will help you as much as you need on your next kitchen project. 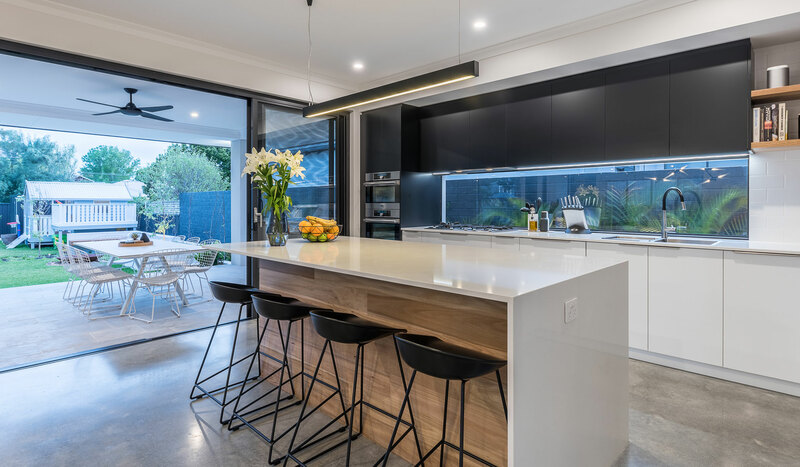 We can simply arrange the supply and installation of cabinetry and bench tops, or project manage other aspects of the job such as tiling, plumbing and electrical work. We also offer appliances and fixtures from your favourite brands, to minimise the running around and make things simpler for you. Rubix Kitchens offer personalised designs that are fully customisable to suit your needs and budget. A Rubix Kitchen will stand the test of time and boost the style and value of your home.